Mark Willbourn with the cutting machine in the background. The event was attended by the representatives of the owner, classification society LLoyd Register and the shipyard. The new vessels will be operating the Thames crossing in the district of Woolwich carrying over a million vehicles and 2.6 million passengers a year. 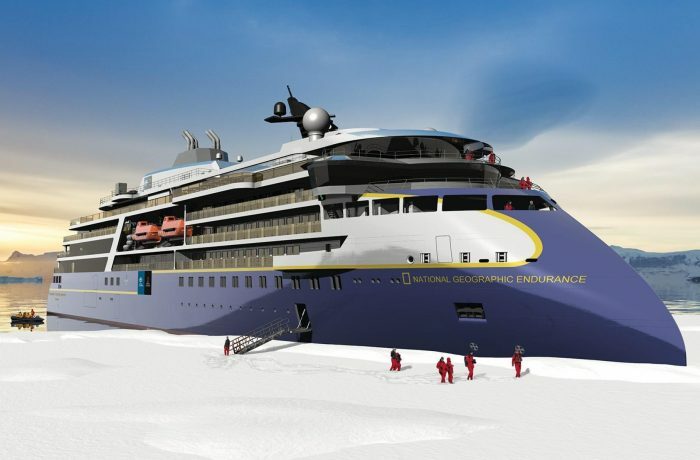 They will be built according to “LMG 60-DEH” design prepared by LMG Marin and will comply with rules and regulations of Lloyds Register of Shipping and the Maritime & Coastguard Agency. The ferries will be operated by Briggs Marine Contractors, that operate the Woolwich Ferry service under a long term contract with TfL. 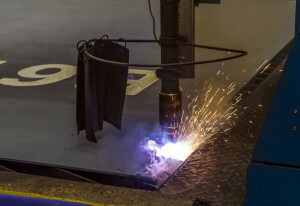 The steel plate while being cut. The new ferries have been specifically designed to match the refurbished linkspans at Woolwich and will replace the current three vessels built in 1963. The new ferries will be equipped with 210 lane metres of vehicle deck space with dedicated cyclist accommodation separated from foot passengers. The vessels will be licensed to carry 150 passengers. 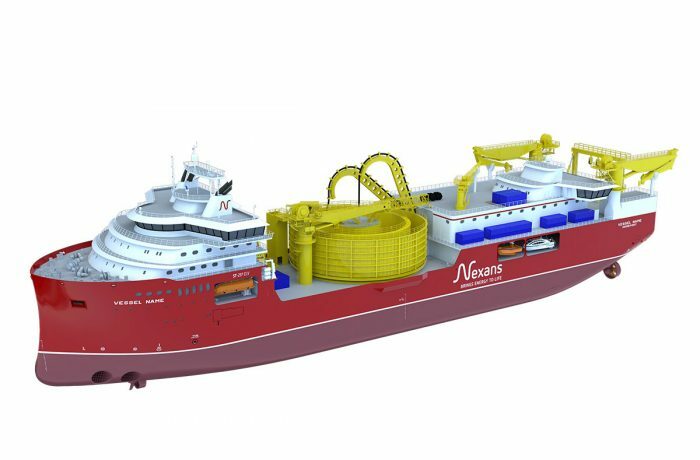 Each vessel will be equipped with four azimuth thrusters powered by vertically mounted permanent magnet motors. Two Diesel generating sets are installed and in normal operation only one will be running at a near constant load with the battery installation providing the peak power demand for the crossings. When the propulsion power demand is low the excess generated power will be used to recharge the batteries. This novel hybrid system provides numerous advantages and in particular by reducing the number of engine running hours and also by ensuring that the diesel generator is constantly running at optimum load enabling emissions to be minimized. To further reduce emissions the generating sets will be fitted with an Exhaust After Treatment system comprising of both an SCR (Selective Catalytic Reduction) and DPF (Diesel Particulate Filter) making these vessels the most environmentally friendly vessel planned for operation on the River Thames. A family photo. Say – cheese! Both ferries will be delivered to London in the Fourth Quarter of 2018. They will make the service more reliable and comfortable for customers. These boats will function with an auto-mooring system that lets the boat attach itself to the berth and remain secure automatically. TfL will install new berths in 2018 because the current berths at Woolwich and North Woolwich piers cannot accommodate this new technology. The new boats meet London’s Low Emission Zone standards because they use a diesel-electric hybrid propulsion system. Once finished, the berths will give customers an even safer journey and ferry staff a more reliable way of mooring the boat. To support the Mayor’s goals for cleaner air they will contribute to reducing emissions in London, require less fuel to moor and save money. – I’m really pleased to see this underway. It’s a mass improvement to the ferry services in London – said Mark Willbourn, project manager at Briggs Marine at the ceremony in Gdansk. – We are very pleased to see this is an upgrade of the vessels in the River of Thames. They will be the first diesel-electric battery hybrid ferries in London leading the way to low emissions. There is a policy in London to reduce emissions as much as possbile and the ferries will lead the way in the river – he added. 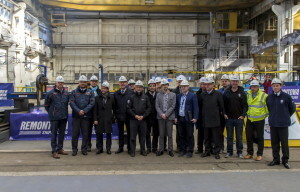 – We are very satisfied, all the more so because it is a brand new electrical ferry under construction for TfL, the first all-electric battery-powered vessel to be built at our shipyard. 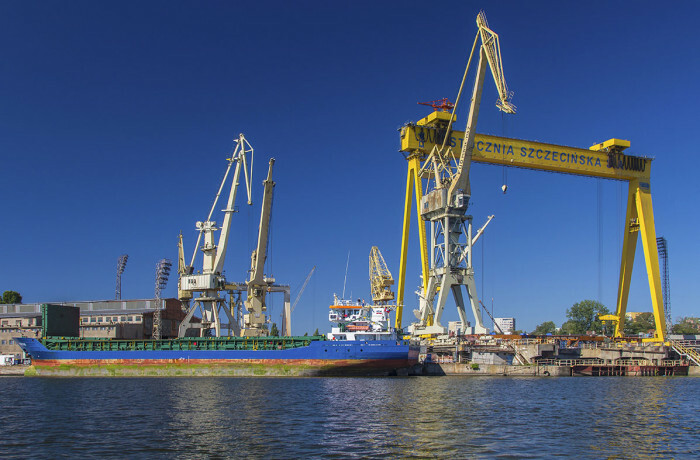 A remarkably important project – said Mateusz Filipp, CEO of Remontowa Shipbuilding. – These are the very first electric ferries under construction in Poland and in our yard. 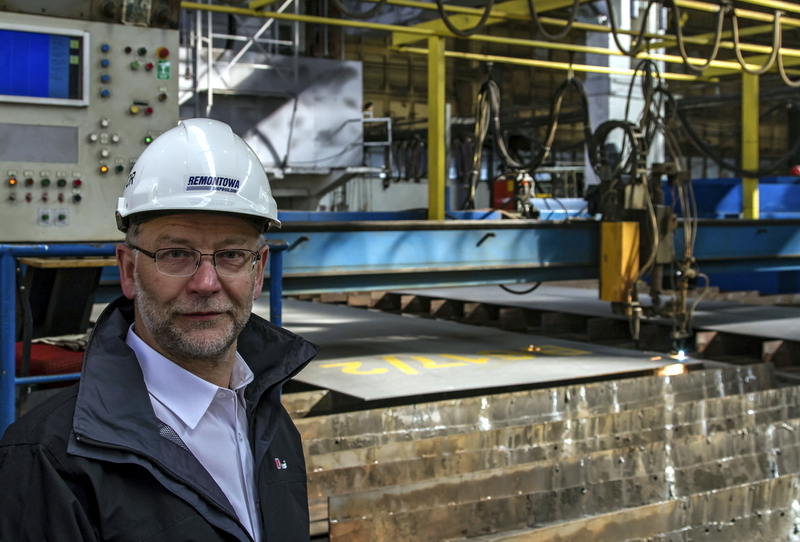 That way we confirm our market position as a proven shipbuilder of virtually every kind of ferries from those traditionally powered, through LNG fuelled ones, up to these driven by electricity, currently in demand – he emphasized. 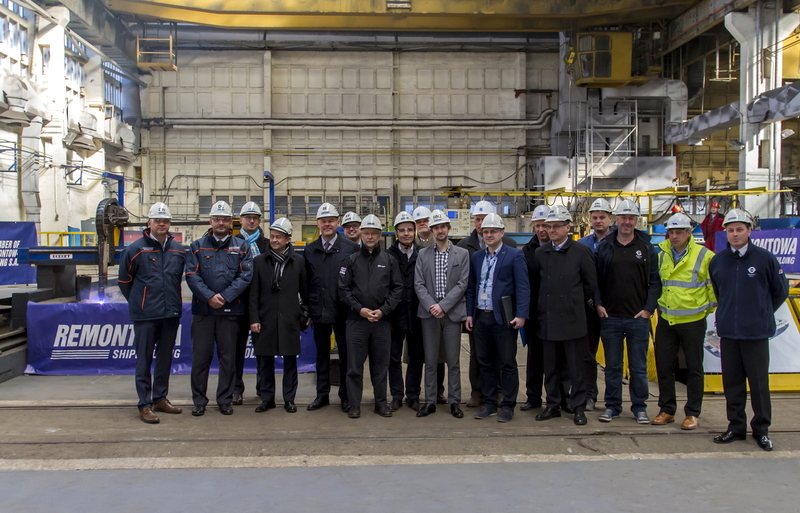 Below: A video coverage showing the steel cutting at Remontowa Shipbuilding on April 20, 2017.